On Memorial Drive leading up to Arlington National Cemetery there’s a long line of statues on either side of the road. I like this one because I think he looks particularly noble and adventurous, which probably befits the historical romanticization of our “splendid little war” with Spain around the turn of the last century. 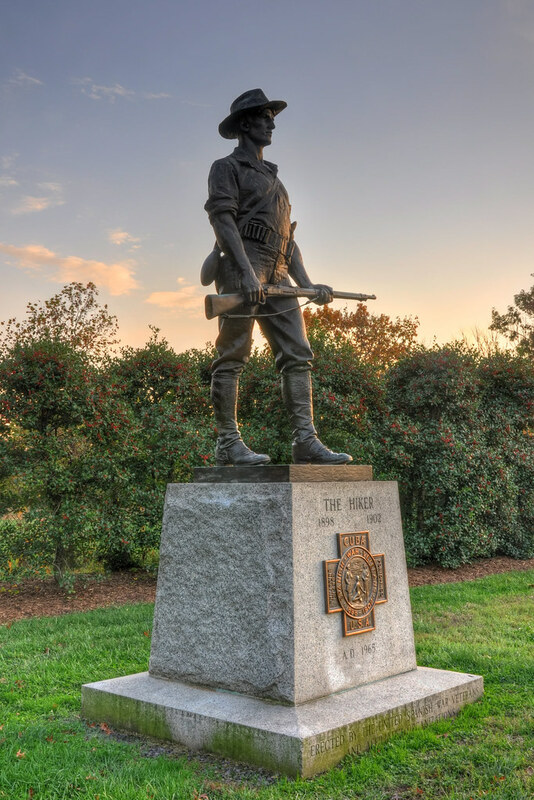 When I looked online for info on the statue I found out that this shot is way higher resolution than the pic on Arlington Cemetery’s visitor information page. Maybe they’d be amenable to switching it? great evening sky there. i just like the haze. and the burnished front plate has a great feel to it too.